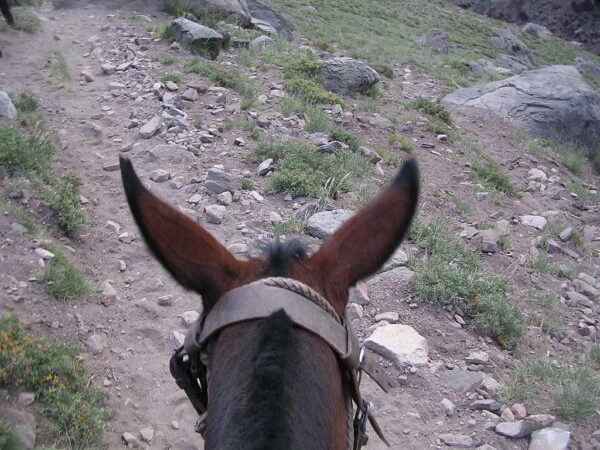 Ok this was the most dangerous thing I have done. 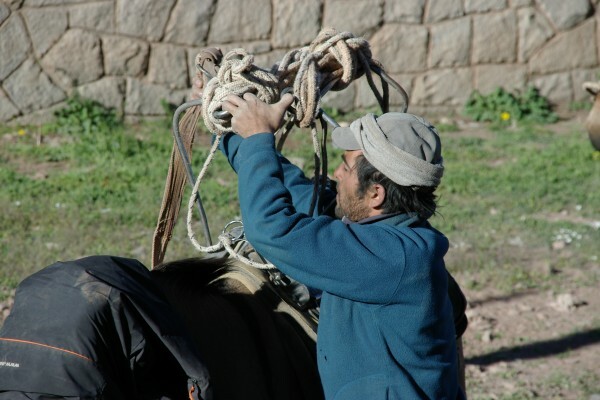 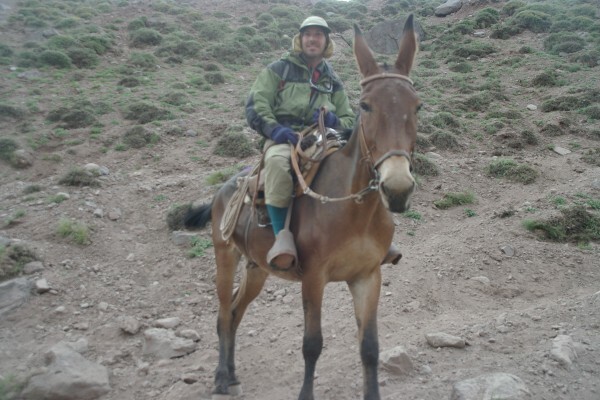 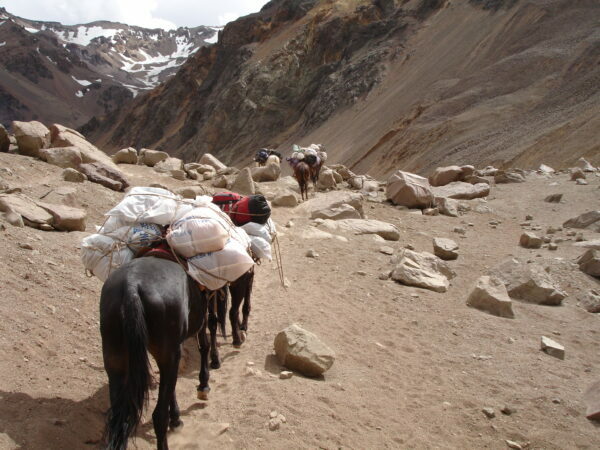 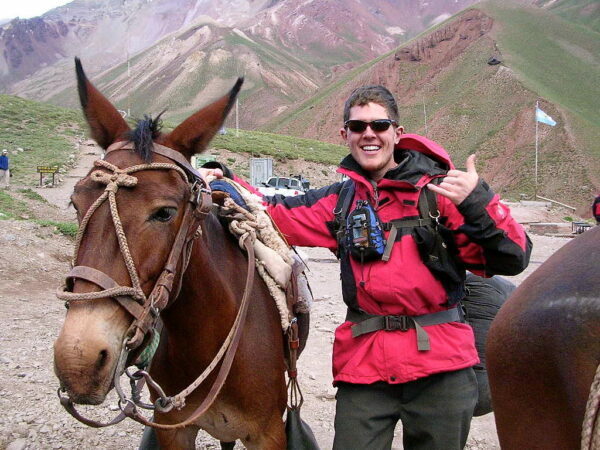 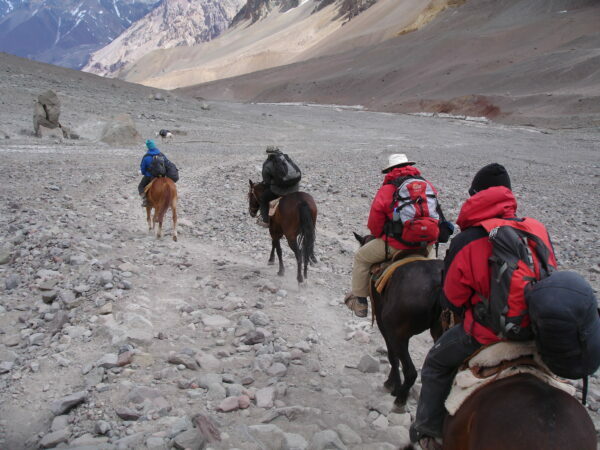 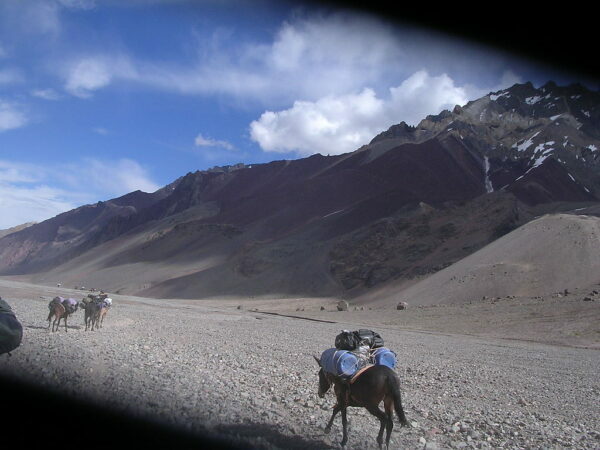 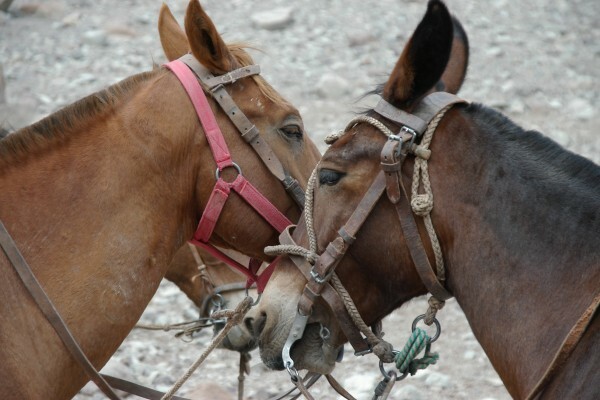 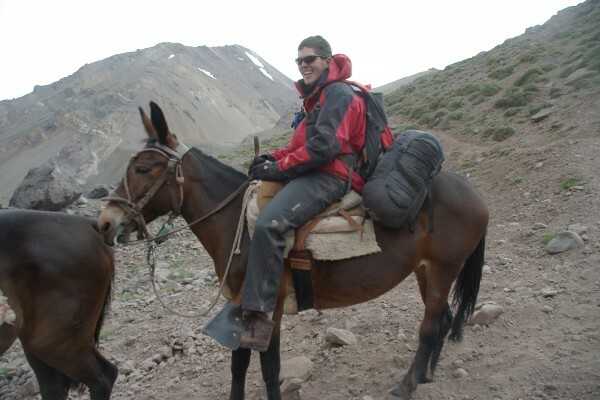 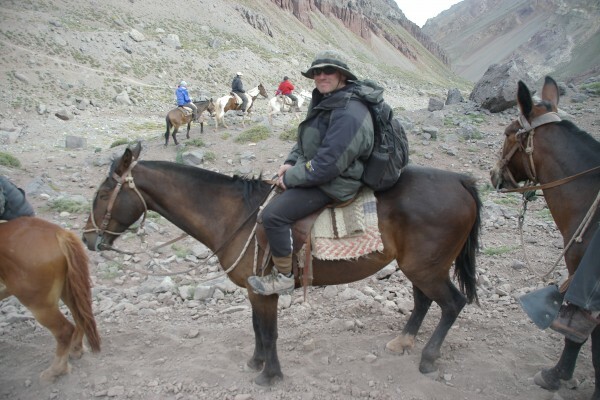 Loading up the horses and mules with packs and gear for the 23,000 foot climb of Aconcagua above, on the way there below. 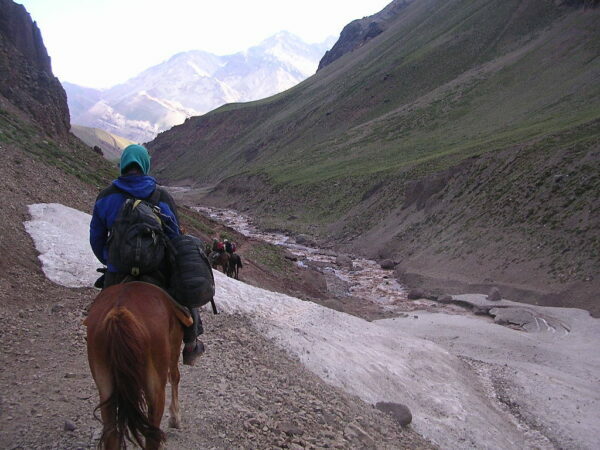 On the way to Mulas “base CAmp” over very precarious trails to say the least. 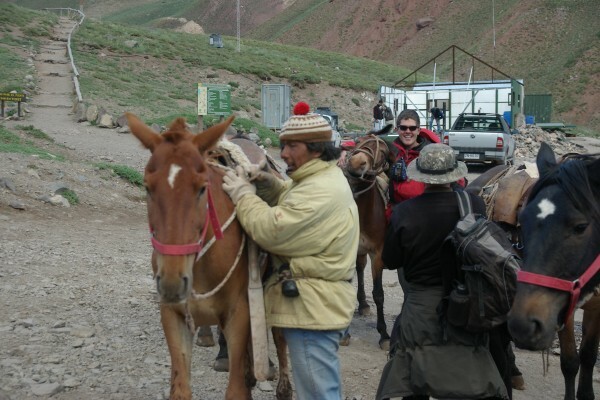 This is not for tourists but only done by the local cowboys to bring up supplies. 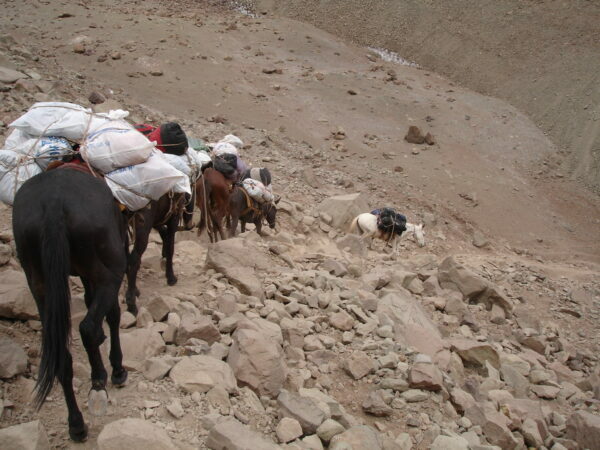 SO I thought it would be “FUN” to take the horses back down to Penetentis after our climb from 14,500 down to 9,000. 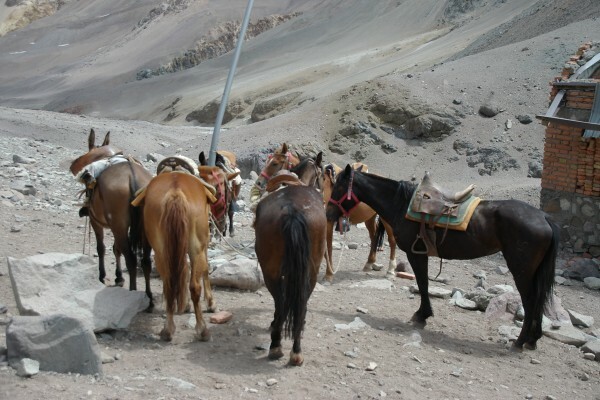 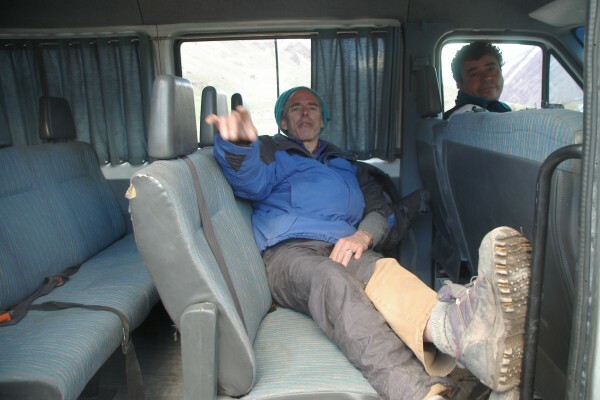 So after our climb to 22,000 we contracted to the owner of Mulas and met the cowboys below. 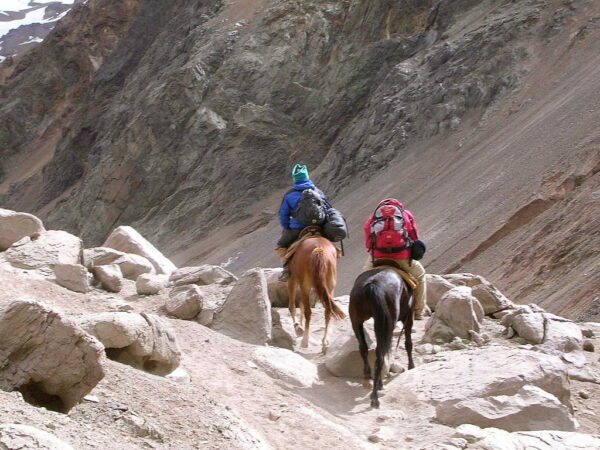 It seemed so innocent-mistake but adventure. 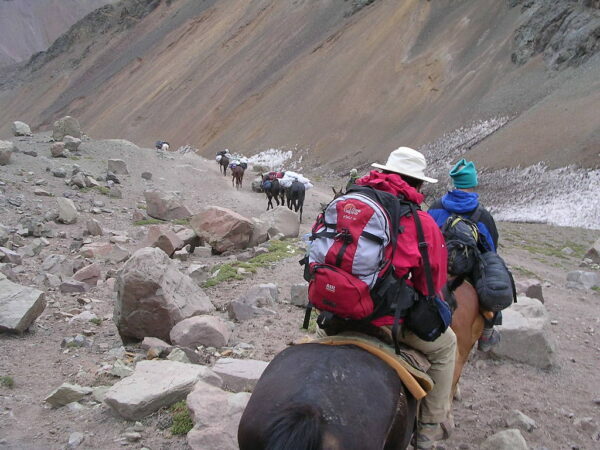 Leaving the staging area to come down above and forced ride starting out below. 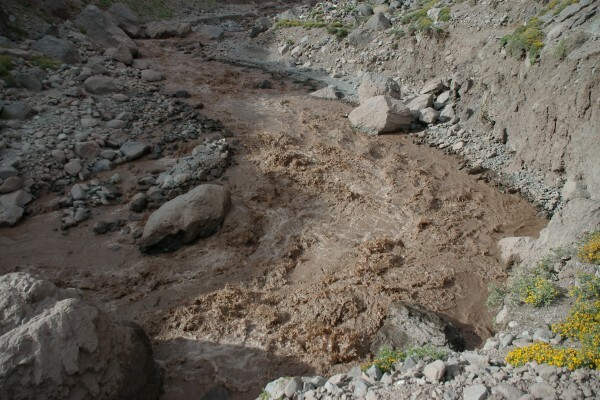 Ryan below after reaching safety of the end after wading those raging rivers holding on to the horns of the saddle. 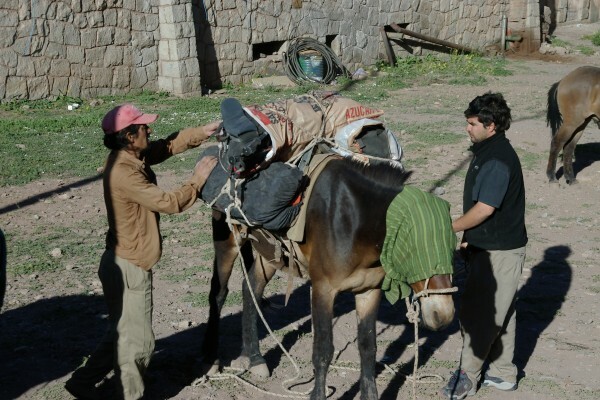 Cold tired and worn out.